These Boots Aren’t Made for Walking | Does This Font Make Me Look Fat? White work boots are iconic for Eastern Shore watermen. 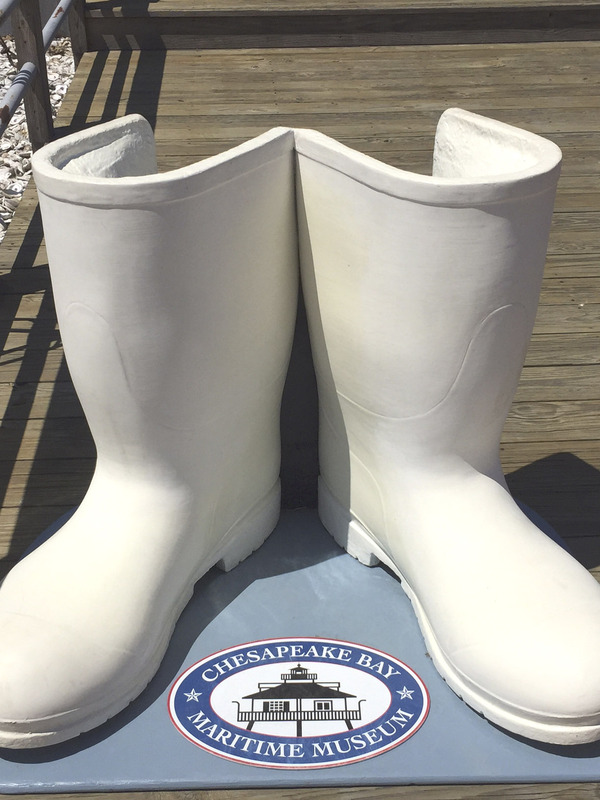 These boots are at the Chesapeake Maritime Museum as a photo op. You stand behind on a step and put your legs into the boots while someone snaps your photo. They reminded me think of boots I recently bought. I’d bought a pair of tall boots from Tractor Supply a couple of years ago, but the bottom seams began to leak. I tried an epoxy fix which worked for a while, then epoxy with a mummy wrapping of cammo duct tape. They still leaked. I needed more substantial boots. I had a pair of Sloggers slip-ons that I really liked, but they didn’t work when we had standing water in the back yard and I needed to get to the compost bins. I’d been in Baltimore for a dental appointment and wasn’t that far from Valley View Farms. It’s where I used to buy most of my plants when we lived on the Western Shore. I love that place. Anyway, I needed a size 10 and there was only one pair of tall boots in that size. I’d brought a pair of socks so I could try them on. I stuck one foot in and the size seemed fine. But I thought I should really try them both on just to make sure. I didn’t want to have to drive two hours back to return them. Making sure no one was around, I kangaroo hopped to a place on the wall where I could lean and managed to extricate one foot, then the other. Clipped together boots are not made for walking! 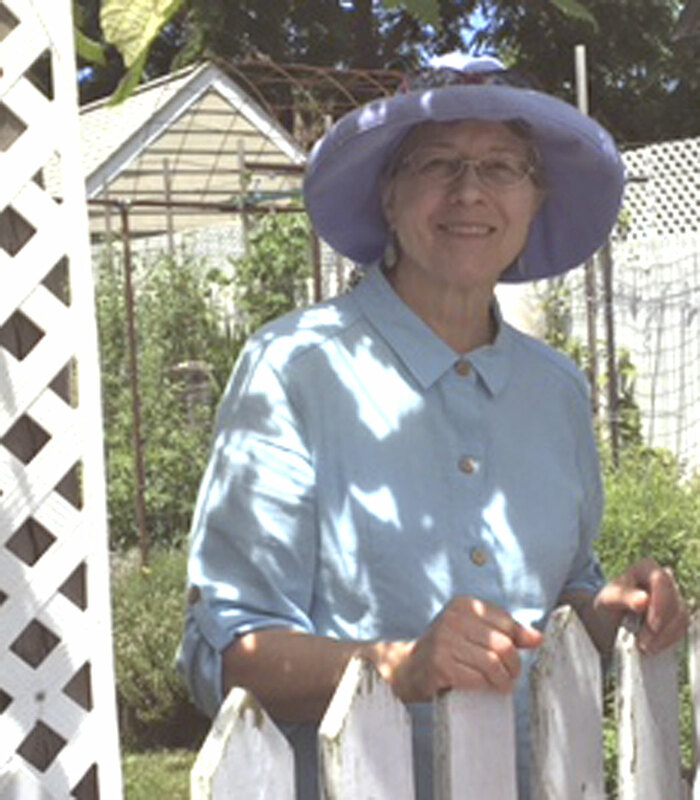 Two days later the Green Thumb group of the St. Michaels Woman’s Club held its annual garden tour. 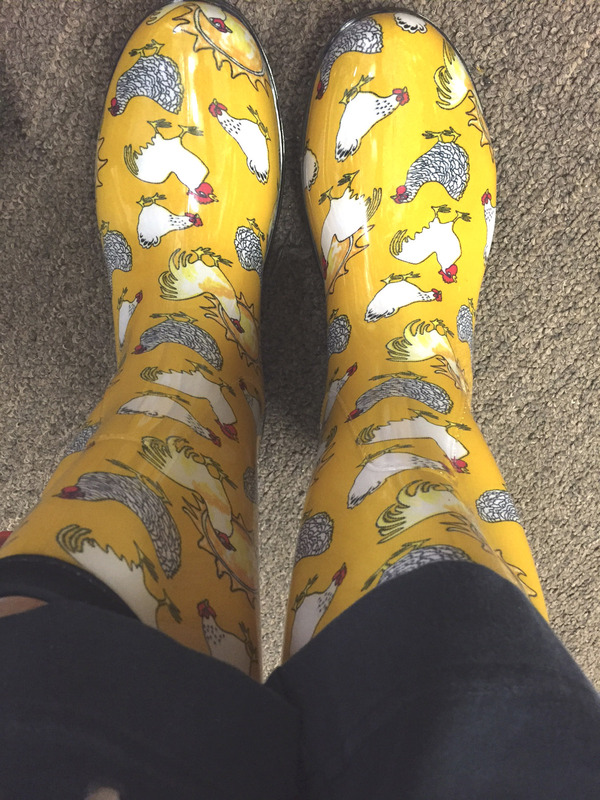 It was a nice day so I didn’t wear my chicken boots. This year one of the gardens we visited was the Children’s Garden in Idlewild Park. I didn’t even know it was there. If you haven’t visited it, it’s wonderful. It includes a maze in the shape of an oyster with a pearl fountain at it’s center. The concrete edging the maze has animal and bird foot prints. Docents visited the gardens the day before the tour so we could see them. We also saw the wonderful gardens at the historical society and three different gardens at the Maritime Museum in St. Michaels. Usually we do member’s gardens, but decided do something different this year. I was a docent at the Rohman’s urban homestead in Easton. Their lot is 1/5th of an acre and the house sits on half of it. They grow an abundance of fruits and vegetables and have chickens, rabbits, and honey bees. They espalier, grow on wire supports, anything to give them a more productive garden in their raised beds. It’s an impressive undertaking. The friends I have made in the Woman’s Club are a joy in my life. Marcel Proust said, “Let us be grateful to the people who make us happy; they are the charming gardeners who make our souls blossom.” I am blooming. 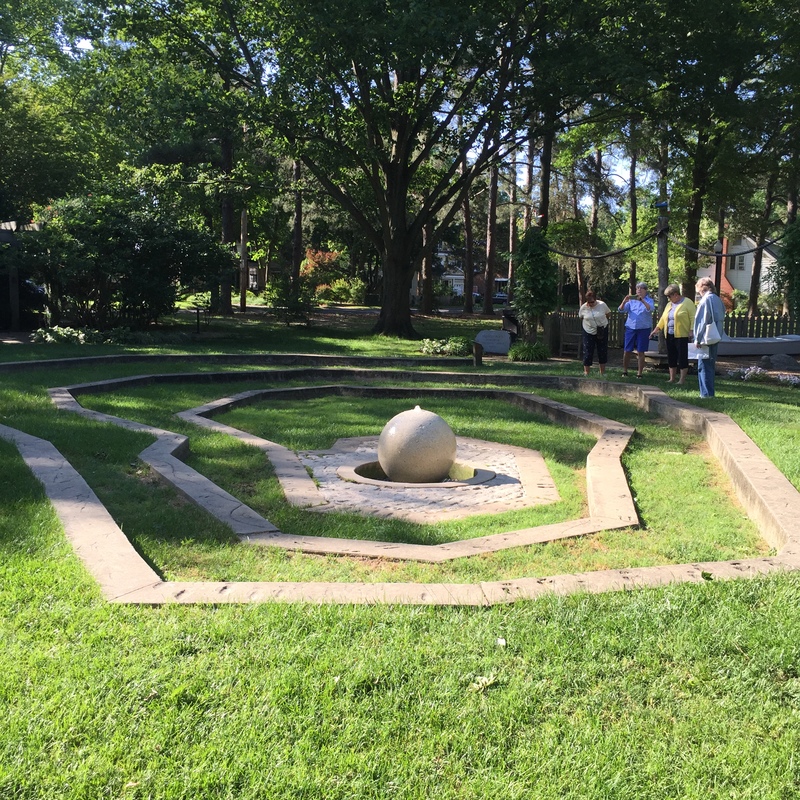 This entry was posted in author's blog, Best Friends, Gardening, Uncategorized and tagged children's garden, garden tour, Idlewild Park Easton MD, Mala Burt, Maritime Museum St. Michaels MD, raised beds, Sloggers, St. Michaels Woman's Club by Mala Burt. Bookmark the permalink. What other way would you be able to put them on? I grew up in Baltimore and we used to go to Valley View Farms for our pumpkins. You’d pay one price to carry out as many as you could! I do like the children’s garden at Idylwild. I used to take my son there. Both the parks have suffered a little damage to their installed activities since then. And the Historical Society Garden is nice. And also where we reunited with our long lost cat after he’d been missing for a week having stowed away in a rental truck to Easton. That was a great story. Glad for your boots and we’ve got the same size feet ! Thanks, Shalagh. I did feel pretty stupid for putting the second foot in those boots.